BURNABY, BC--(Marketwired - March 16, 2015) - Icron Technologies Corporation, a leader in USB and video extension technology, announced today that Guntermann & Drunck GmbH (G&D), a leading manufacturer of digital and analogue KVM solutions, will be showcasing new DisplayPort modules for its ControlCenter-Digital KVM matrix switch enabled with ExtremeUSB® technology at two upcoming tradeshows: CeBit 2015 from March 16th - 20th (Hall 12, C38) and Hannover Messe Industrie (HMI) from April 13th - 17th (Hall 11, D50); both at the Hannover Messe Exhibition Grounds in Germany. CeBit 2015 will be examining the role of how digitalization has transformed business practices while the HMI show explores the latest technology developments for industrial automation, energy and power transmission. With Information Technology driving innovation on a larger scale across multiple industries, G&D has taken on this ideal opportunity to introduce their latest cutting-edge KVM solutions that will help their clients achieve success. 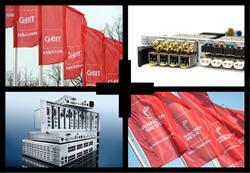 At CeBIT and HMI, G&D will exhibit new DisplayPort modules for the modular KVM matrix ControlCenter-Digital. The modules let users connect graphics cards and monitors with DisplayPort in resolutions up to 2560 x 1600 at 60Hz and 4K up to 4096 x 2160p at 30Hz. Even with high resolutions, the matrix still supports CrossDisplay-Switching, which allows users to switch between computers simply by moving the mouse. The I/O-Card-Multi allows the use of third-party non-KVM devices together with standard KVM signals, supporting SDI, HD-SDI, 3G-SDI, USB 3.0 or 1GB Ethernet. This aspect allows for cross-system installations such as the integration of USB 3.0 surveillance videos in control rooms. The ControlCenter-Digital matrix switch, along with many other solutions from G&D's product line, has incorporated the ExtremeUSB suite of features such as transparent USB extension, true plug and play (no software drivers required), and compatibility with Windows®, Linux® and Mac OS X® operating systems. This patented extension technology provides customers assurance of unrivaled performance when placing host computers and peripheral devices at distances well beyond stated USB specifications. 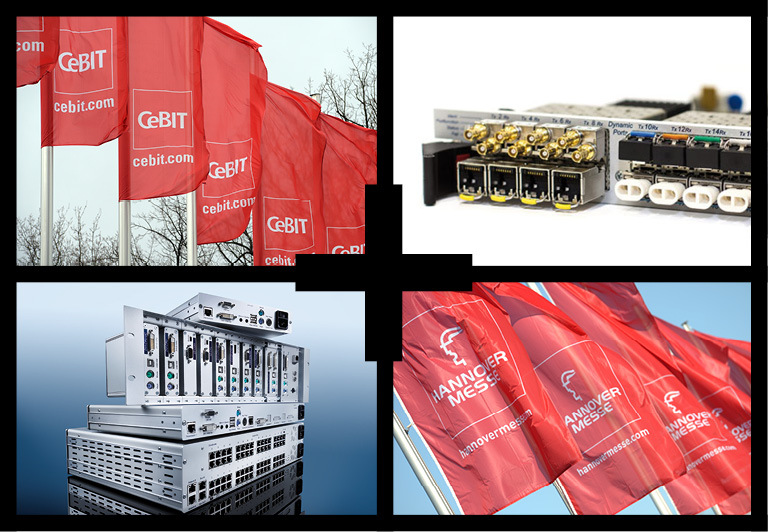 A demonstration of G&D's ControlCenter-Digital KVM matrix switch will be featured in Hall 12, C38 at CeBIT 2015 and at Hall 11, D50 at HMI, both shows in Hanover, Germany. About this company Icron Technologies Corp.